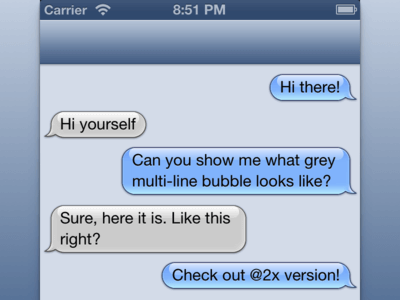 A little while ago I made iMessage bubbles in Photoshop for my Xcode practicing. Now because more and more people saying how good Sketch is, I decided to give it a try: if I can draw bubbles using Sketch just as precisely as in Photoshop — I'll consider switching. Honestly, I didn't really expect Sketch to win, but it turned out to be surprisingly good for such stuff and these new bubbles are actually even better than the old ones.